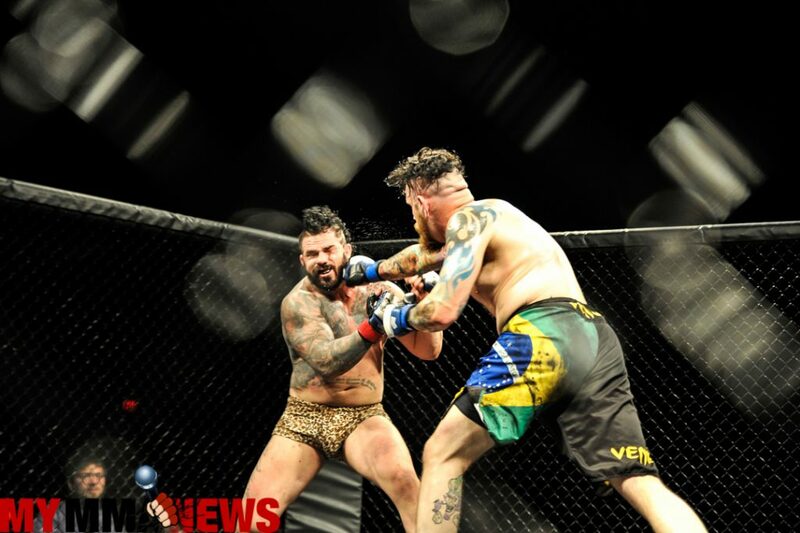 X Fights 2 took place June 18, at the Sands Bethlehem Event Center in Bethlehem, Pennsylvania. 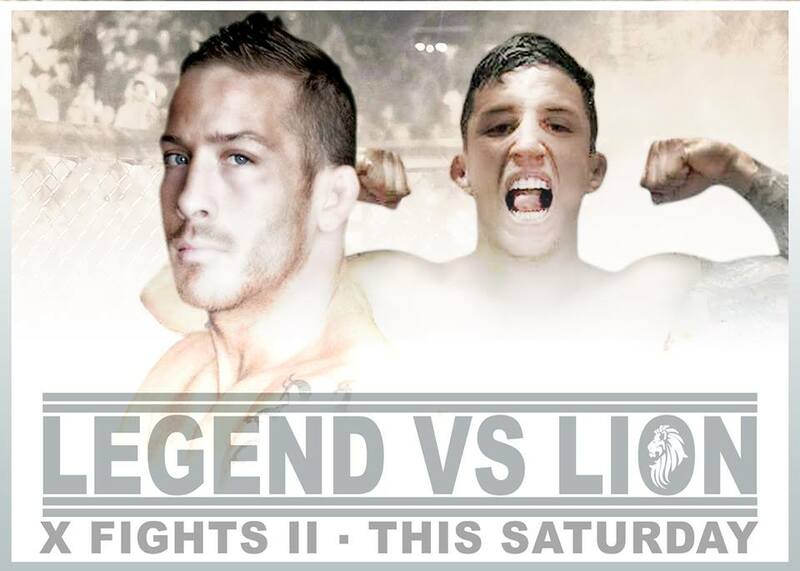 The night was billed as the final fight in the legendary career of local standout, Scott ‘The Animal’ Heckman. 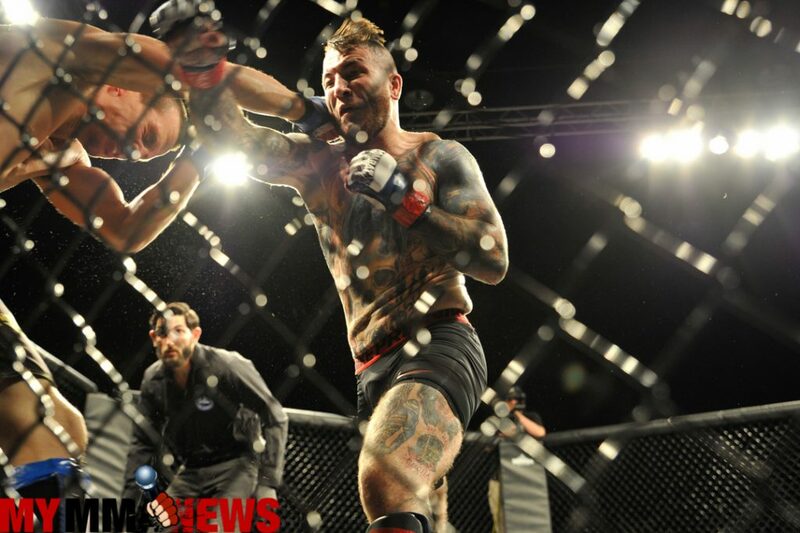 Heckman, who amassed a 20-8 professional career is a former Bellator MMA competitor and Cage Fury Fighting Championships champion and as a fan first, I must say it has been an honor to watch his career progress. Win or lose tonight, Scott Heckman is a legend and a friend. In the final fight of his illustrious career, Scott ‘The Animal’ Heckman took on a young stud in Ruben Warr. The first round was a back and forth battle between the two men, mostly exchanging punches and kicks but no significant damage done to either combatant. In the second round Heckman scored a huge takedown. The two worked back to their feet and after a few exchanges Heckman landed another takedown. From there The Animal worked for a variety of chokes and submissions. Everytime that Warr was able to work his way back to his feet Heckman took him back down. In the final round of his career Heckman again gets a takedown, moves to side control and as the two continue to do battle Heckman continues to work positions eventually taking standing back control and slamming Warr to the mat again. No matter how many times Warr was put into a bad position he continued to weather the storm. There was no point in which Heckman faced any danger, but he couldn’t put Warr away. 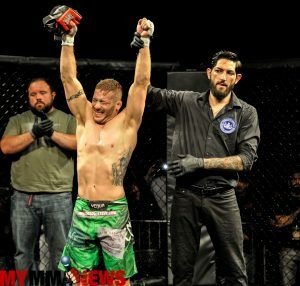 In the end, a local mixed martial arts legend and standout wrestler goes out on top with a win. The entire crowd stood on their feet as the result was read. After The Animal was declared a victor he was congratulated on the microphone by Warr. Then Heckman took the mic. “This is for all you. You guys have been here from day one. This is why I fight, for everyone who supports me,” Heckman said. 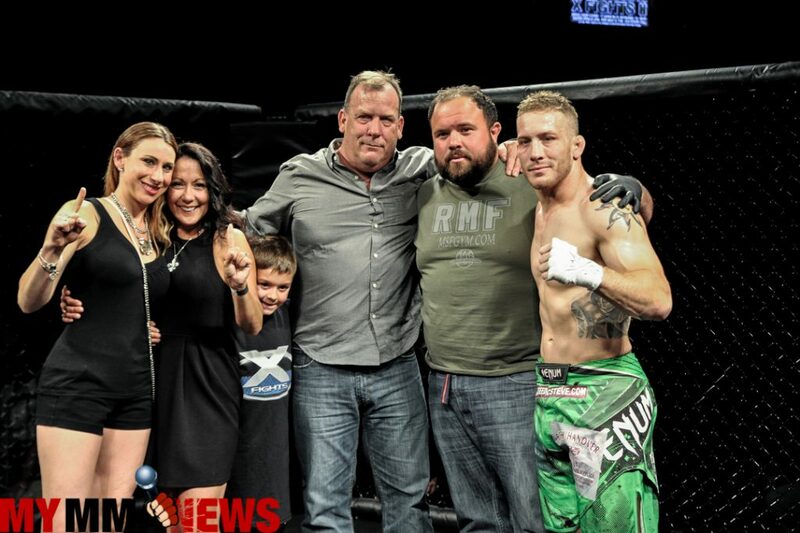 What might have been one of the most fitting tributes to a fighter ever, Heckman and his family stood in the cage as the entire crowd watched a tribute to Heckman. ‘The Bethlehem Brawler’ Mike Liberto started the fight strong and was winning his fight against Stephond Ewins, everywhere he took the fight, on the feet, and on the ground. As the bell came to a close in the first round the two fighters stood up. Somewhere along the line, somehow, Liberto received a cut and the cutman and ringside physician attended to the fan favorite. The fight was called off. Liberto went to congratulate Ewins, and a scuffle broke out not only in the cage but also among the fans. After what seemed like an entire round of fights the unruliness seemed to settle down and the announcement was made that Ewins would win the fight via TKO five minutes into the round. Matchmaker Mike Bickings tells MyMMANews that Liberto sustained a cut to his eyeball and will make a trip to a local hospital. Get well soon Bethlehem Brawler. This one was over before it even started. You do not want to get hit by “The Savage” Tim Kunkel. The Savage knocks out Greg Quarentello just 34 seconds into round number one. Fight fans at the Sands Bethlehem Event Center saw a different version of Thad Frick in the opening minutes of the contest with Chris Humes. Frick, known for his wrestling prowess did not immediately work for a takedown, instead he show some footwork and improved stand up and to keep Humes at bay. 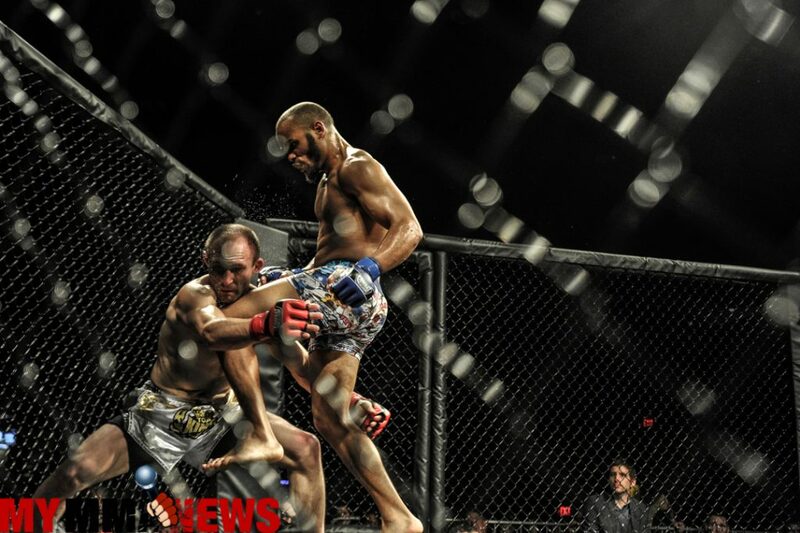 After a brief halt due to an inadvertent groin shot, Humes decided to turn it up a notch landing a flying knee. After he recovered, Frick finally used his wrestling to take down his opponent before closing out the round. 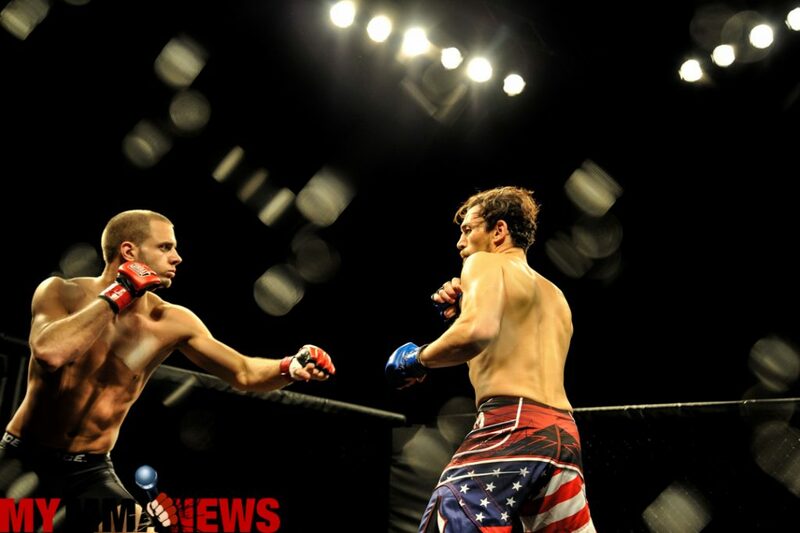 In the second round, once again Frick took Humes down, dug his hooks in and fought for position for a rear-naked choke. Humes defended the choke before Frick turned the choke into punches. Frick landed multiple shot to the head of his opponent. In the closing seconds of the round Humes scrambled to a guard position and then maneuver to work for a triangle but to no avail. In the third round, Humes landed a big knee that stumbled Frick and sent the referee chasing after but as Frick began to fight back the referee backed off. Frick still has life in him, presses Humes up against the cage. The two continue to battle and Humes lands another knee and blood flows from the mouth of Frick. Frick then eats a huge right hand and more blood shoots across the cage. The punch awakens Frick and he shoots in for a huge takedown reminiscent of UFC Hall of Famer Matt Hughes sending Humes across the cage to end the round and the fight. All three judges ruled the fight in favor Chris Humes-Mitchell. In the opening seconds of this title fight which was contested under advanced rules, Atiyeh came out hungry, connecting with a huge shot before capitalizing with a flurry of more punches, backing Tuxford up against the cage. After a minute and a half of being in survival mode, Tuxford turned the tide and starting connecting with shots of his own. Very tough round to call but the round should go in favor of Atiyeh. In the second round these two light heavyweights stood on their feet the entire three minute round exchanging bombs back and forth. Atiyeh seemed to land the better of the exchanges but ate a head kick in the closing seconds of the round. 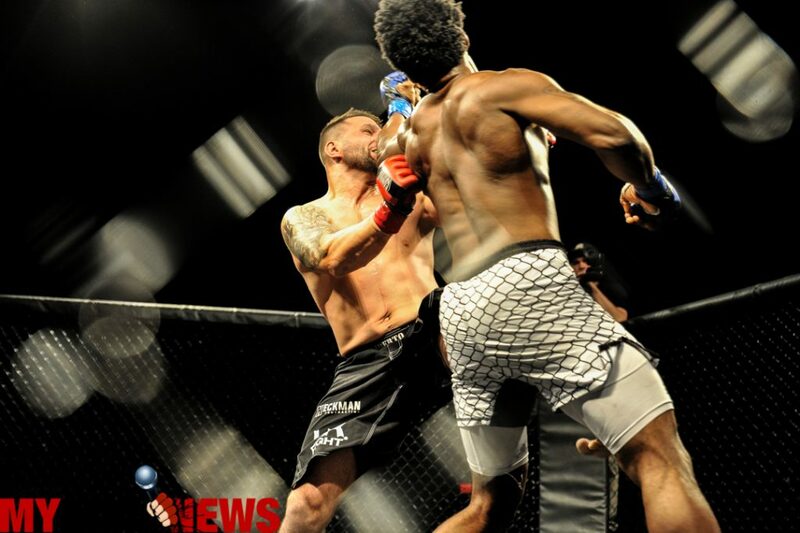 The momentum seemed to turn in favor of Tuxford in the third and final round as he landed more shots and Atiyeh began to fade. Atiyeh hung in the fight and fired back but a small cut formed over his eye and it was apparent that Tuxford was landing far more shots. The judges scored the bout a unanimous decision in favor of Atiyeh to crown him the organization’s first light heavyweight champion. 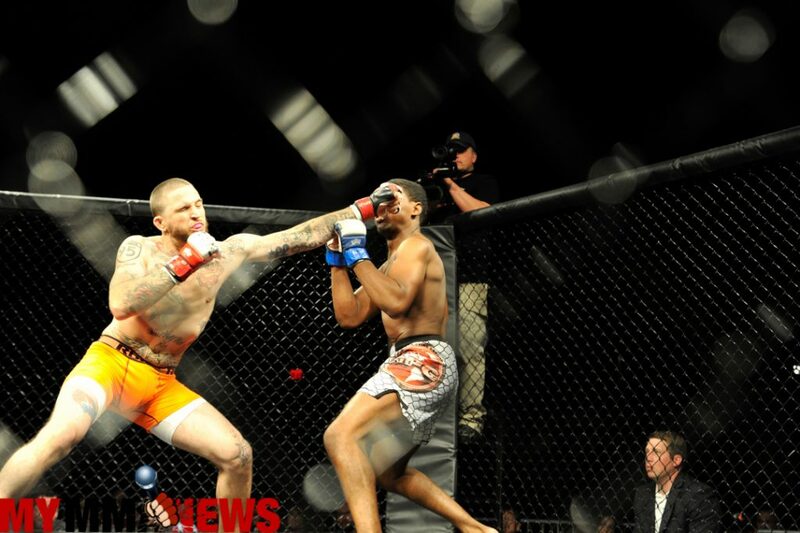 Ed Shupe vs. Kaheem Murray was a back and forth three round affair of both fighters working in shots while standing but while on the ground Shupe controlled the majority of the fight. Shupe would go on to win a unanimous decision on the judges’ scorecards to claim the organization’s vacant welterweight title. In the final preliminary bout of the evening, Sev Cardenas walked out to a solid pop from the crowd and he managed to perfect a cartwheel while walking down the aisle, adding to the theatrics of the show. Taylor Mozingo was taken down early on and toyed with on the ground as Cardenas worked in a variety of submissions and position transitions. The first round ended with the referee separating Mozingo from an armbar that would have submitted a lesser man. In the second round, Mozingo seemed uncertain as he tried to figure the Cardenas puzzle out. Cardenas continued to pepper the body of Mozingo with shots before the round ended. In the third and final round, Cardenas finally put the stamp on his opponent, picking him up, slamming him to the ground, working in some strikes before he flattened him out and submitted him with a rear-naked choke. 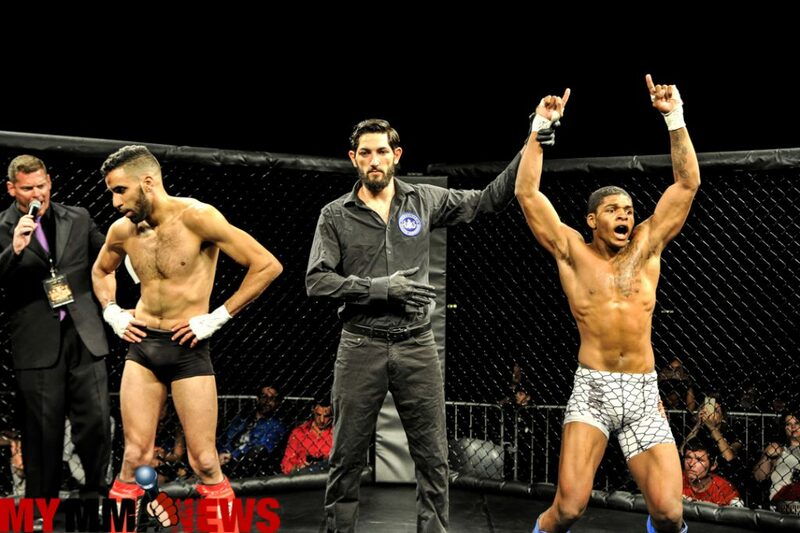 From the get go in round number one, Nick Mimoso pounded on the abdomen of Carmelo Dominguez with a combination on knees then punches once his opponent was on the ground. In the second, Mimoso once again hurt Dominguez with punches before working in a standing guillotine. Once that didn’t work the two fighters went back to exchanging leather in the final seconds of the second round. In the third and final round and Dominguez traded blows before Mimoso took the fight to the canvas. From there Mimoso abused the torso of Dominguez with knees and a volatile exchange of punches to close out the fight before going to the judges for the decision. Once the decision was rendered, Mimoso was the clear winner. 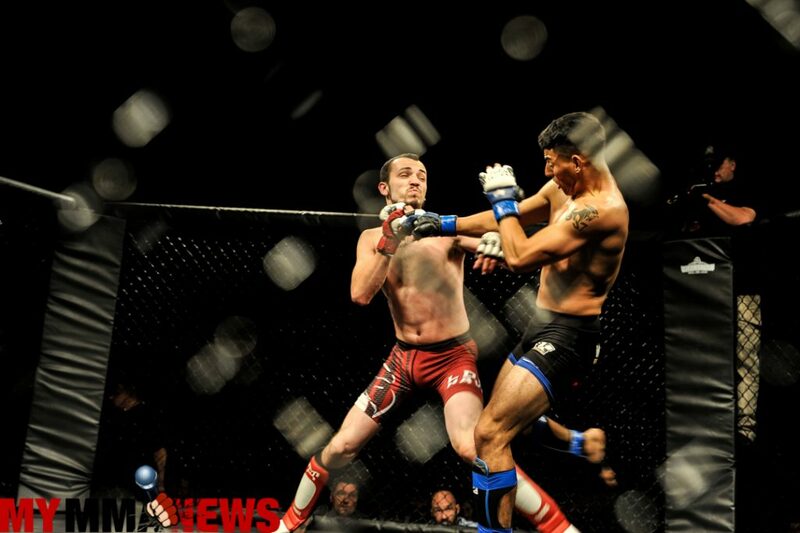 In the opening bout of the evening, Timothy Tyler of Navone’s Next Level MMA took on Cio Cuevas of Team Chamber MMA. Cuevas was caught with a shot early on but was able to sneak in for a takedown and control the majority of the first round with stellar jiu-jitsu, flattening his opponent belly down to the canvas and working for chokes before the bell sounded. In the opening seconds of the second round Cuevas worked in an impressive suplex to take Tyler down to the mat. After working for back control Cuevas lost position and struggled to get back up to his feet until the final seconds. Right off the bat in the third Tyler took Cuevas down for the first time in the contest, took back control, worked in a rear-naked choke but was unable to complete the submission. Cuevas then took control of the contest for a brief moment before the fight was temporarily paused by the referee and a point was deducted for hitting a ground opponent in the face. Once resumed the fight would go to the judges with Tyler getting the nod.